One of the best Monterey Bay Ocean views in all of Santa Cruz County. The perfect second home . 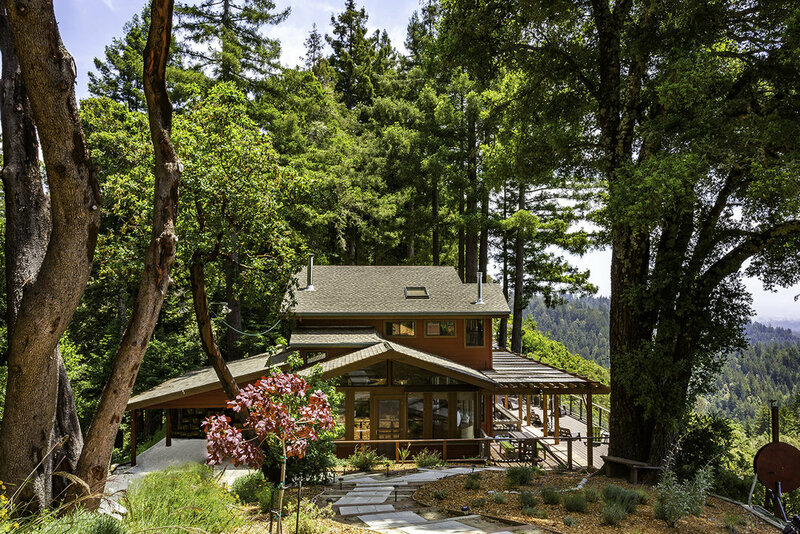 . . South facing on 12 acres perched above it all at 1500 feet elevation. This sophisticated and luxurious personal retreat reflects the magical merging of inspirational nature with exceptional architecture. Every detail has been carefully selected and quality crafted with an additional $600,000 in recent upgrades to satisfy even the most discerning taste. Detached office space or guest room, beautifully landscaped, terraced gardens, mesmerizing labyrinth, and privately owned solar system. Peace, tranquility, fresh mountain air and the quality of life you deserve.